There are some caveats however. 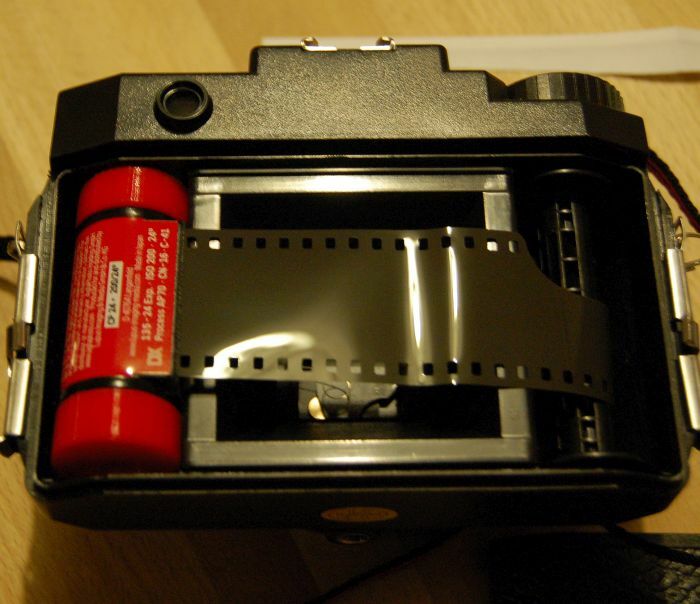 Not all cameras will be able to do this and you’ll also (unless double cartridging) have to be happy to open and empty the film in a total dark conditions. Also don’t do this for mission critical stuff (esp first time out) – I still make errors. Hang on you say – it all ready is ! Well it is for 120 film but remember the red windows on the back. These are used to read and align the frame numbers on the light tight backing paper (the red reduces the amount of light). If you don’t cover when loaded with 35mm which has no backing paper you’ll get a major light leak. Many folk use electrical tape available at most hardware stores and some supermarkets. Make sure you layer well and check you can’t see light though. Gaffer tape is seen as alternative as easier to remove but is less light tight so you really need to layer well. Red windows not covered properly here. 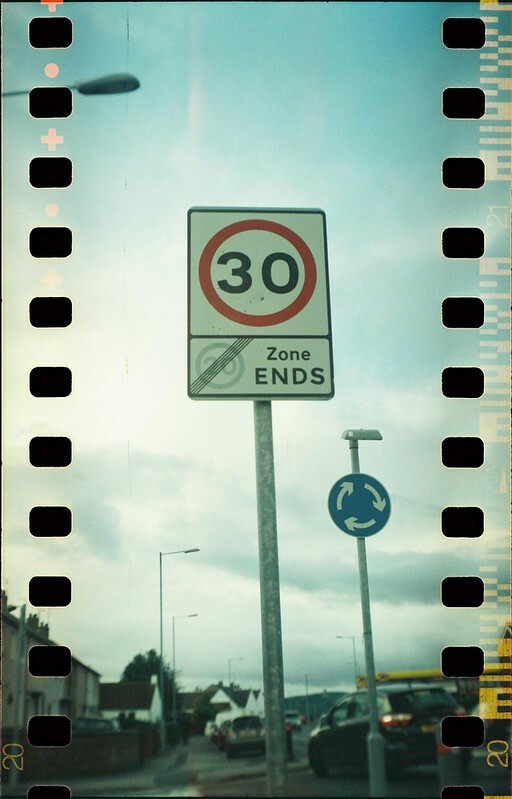 Taken on Halina Viceroy 120 film pseudo TLR using 35mm Expired (2009) Super HD 200 film (made by Ferrania). Your camera is now ready but you have no way of determining how far you should wind for each frame. Easiest way to do this is firstly ensure you film winding nob has an obvious visual marker (a Wee sticker is handy). 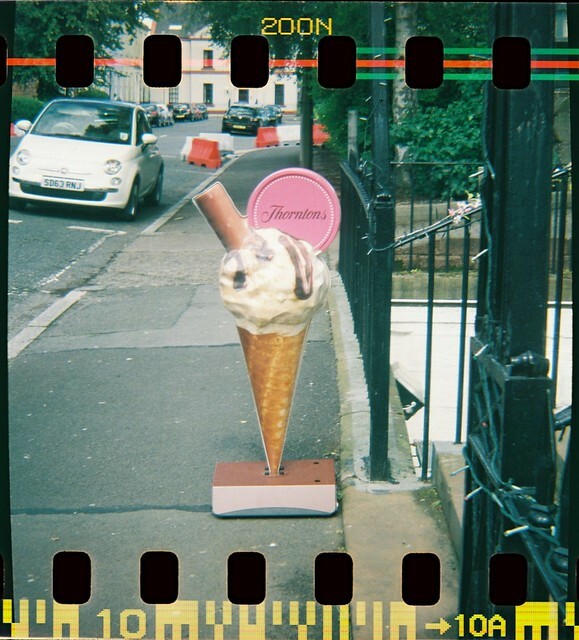 Then take a cut longways strip of A4 paper and attach to the film take up spool just like you would when loading film. Gently tension by one hand so that it lies flat across the film plane and mark it a couple of millimetres before the film plane. Keeping gentle tension and watching how far you wind on until the mark crosses and exits the film plane. You have now got your starting wind distance. You’ll need to secure your 135 (35mm) film cassette in the film compartment. Some cameras like the Bencini Koroll 24s will fit snugly but for most camera you will need to wedge in the film cassette somehow. Simplest solution IMHO is to get a set of 35mm to 120 converter Lugs for a few quid (for those with a 3D printer you can print your own). You can do other solutions and DIY photography has some other suggestions and a link to one 3d printer template. Then just load your film as you would do with a 120 spool making sure the cartridge slot is facing the right way (nearest to film plane). I find bending back the film leader once you pass into the empty sprocket helps secure and you want to gently wind around the take up spool. Wind on to secure and Close the back. 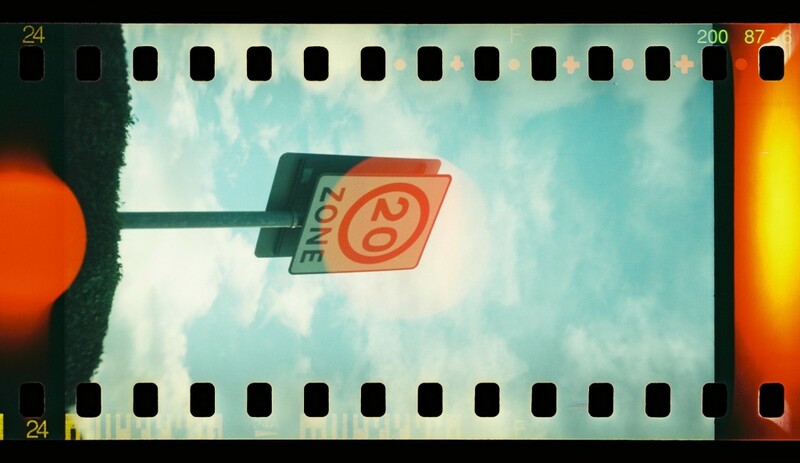 I’d then wind on by 1 ½ times the initial wind distance (twice or more for box cameras) to get passed any exposed film. You won’t need to make any adjustments for shooting 35mm in terms of focus or exposure but be aware the viewfinder will still be geared for 120 shots not a narrower 35mm. Once you’ve taken your first shot wind on by the initial wind distance. As you progress through the roll you will over time need to wind on a bit less (as the film winds around the take up spool it gets thicker and thicker) but the reduction has to be small (I drop a 1/8 of a turn every 4-6 shots for most cameras but it is a matter of try it and see)). If in doubt don’t reduce (you’ll only lose a shot at most so no great panics). Remember just as when shooting on a 35mm camera you will hit a point where the 135 cassette runs out and you can’t wind on – just don’t force it. Box cameras will waste an extra 20-30cm of film due to their long loading route. When you reach the end you’ll need to empty the camera in total darkness (unless using the second cassette technique below). 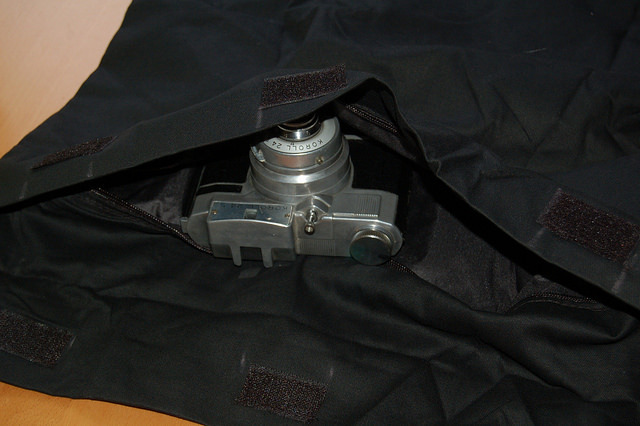 Not many of us have a proper darkroom so personally I’d invest in a light tight changing bag (if you shoot film you’ll need it even if not being too adventureous). You can usually get on eBay (mine was about £7 most are £10-20). If you don’t have one you can still change the camera by making an improvised light tight environment although be aware the slightest amount of light while cause a leak. You can try and do this in your bedroom ideally at night when light levels are low. Close the door and close curtains. I’d put the camera under the duvet (I still do this with my change bag just to be safe) and put additional blankets etc on top. Remember to take off any watches with luminous dials which ever way you do it. Open the back and try to avoid touching the film. Fee up the take up spool and the film cassette. Rewind the film back into the cassette. There is good news and bad news here. The good news is that you can have your film processed in any lab that deals with the film type, so you could still get it done in a cheap. Scanning the film is going to be more of an issue. Many cheap labs automate scanning and won’t cope with a wider width negative size. Even some more pro labs won’t sprocket scan. However if you hunt around you’ll find folk who do. One of the issues with our core technique above is that the camera can’t be unloaded easily. For the adventurous (probably happy home developing) you can get round this by setting the camera up with the film attached not to an empty spindle but into another (empty) 35mm cassette. 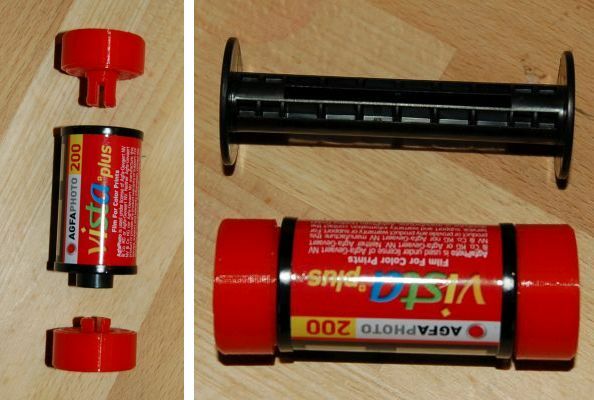 At the end of the roll you can just detach/cut the film off from the initial roll. You’ll again need to make sure the camera has both a film and a take up compartment that’ll take 35mm cassettes. You’ve no way of knowing how many shots you’ve taken. Many vintage and modern 120 P&S camera have no multiple exposure locks so get into a system of either winding on after or before every shot.